This study aims to improve learning outcomes and scientific attitude of students with the application of the method of inquiry-based experiments. This study is expected to improve student learning outcomes and scientific attitude of students, while teachers and school as consideration for a learning method to implementing inquiry-based experiments in the classroom. The research subject namely VII B and VII C in SMP Negeri 2 Patrol Indramayu district. The method used in this research is a kind of experiment with the instruments of research about the initial test and final test, in the form of objective matter. The average value of the initial test experimental group was 57.48 and the average final test experimental group was 76.05. This means that by using the method of inquiry-based learning, increase student learning outcomes amounted to 18.58%. While the average initial test control group average of 57.43 and the final test is 70.55. This means that by using conventional methods, student learning outcomes only gone up by 13.13%. The average value of the initial scientific attitude experimental group was 44 and the average scientific attitudes final experimental group was 75. This means that by using the method of inquiry-based learning, an increase in the value of the scientific attitude as much as 31%. While the average initial scientific attitude control group of 43 and an average of the final scientific attitude is 71. This means that by using conventional methods, student learning outcomes is only increased by 28%. Keywords: Inquiry, learning outcomes, scientific attitude. SUTARBA, Maya Ulfah. Penerapan Pembelajaran Eksperimen Berbasis Inkuiri Pada Sub Konsep Pencemaran Air Untuk Meningkatkan Hasil Belajar Siswa Dan Sikap Ilmiah Siswa. 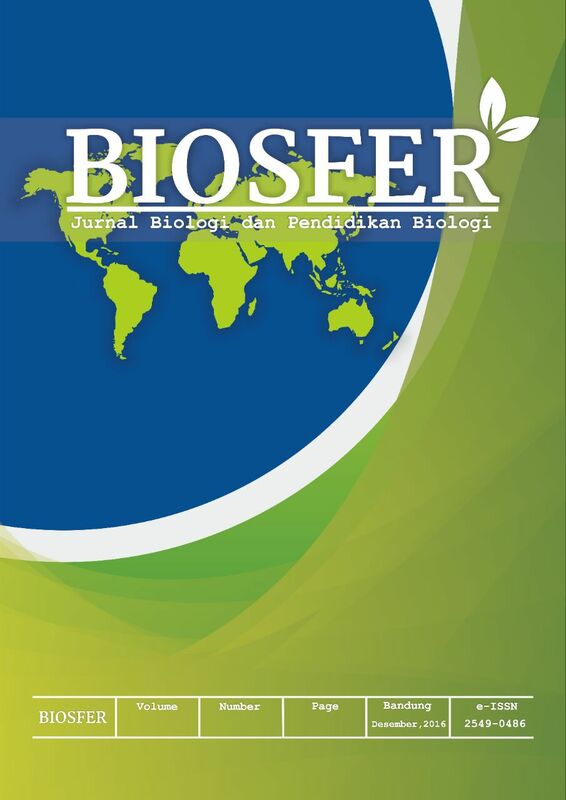 BIOSFER : Jurnal Biologi dan Pendidikan Biologi, [S.l. ], v. 2, n. 1, p. 1-7, aug. 2017. ISSN 2549-0486. Available at: <http://journal.unpas.ac.id/index.php/biosfer/article/view/304>. Date accessed: 22 apr. 2019. doi: http://dx.doi.org/10.23969/biosfer.v2i1.304.